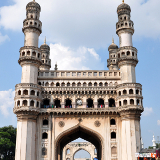 Hyderabad is the exciting and dynamic capital city of the state of Telangana, India. With a rich heritage spanning over 400 years, Hyderabad’s history is preserved in its archaic architecture and landmarks. Having recently undergone development and expansion, the city now boasts high-rise buildings and upmarket restaurants in addition to its fantastic historical heritage. Cheap flights to Hyderabad are now available for a limited period of time, so book your flight today and experience the historical wonders and cultural gems of this ancient city! Hyderabad is home to Rajiv Gandhi International Airport (HYD), located 50 minutes from the city centre by car. 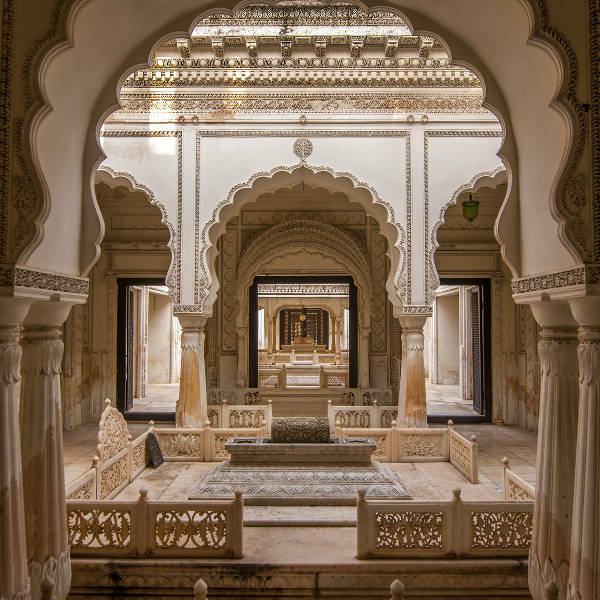 Hyderabad’s oldest district, known locally as the Old City, invites you to step back in time, as you stroll through the dusty streets and admire the crumbling, ancient landmarks of the city’s bygone era. An eclectic mix of old and new, Hyderabad’s architecture is intricate and ornate. 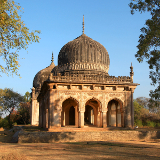 Many beautiful mosques and temples can be found dotted around the city. 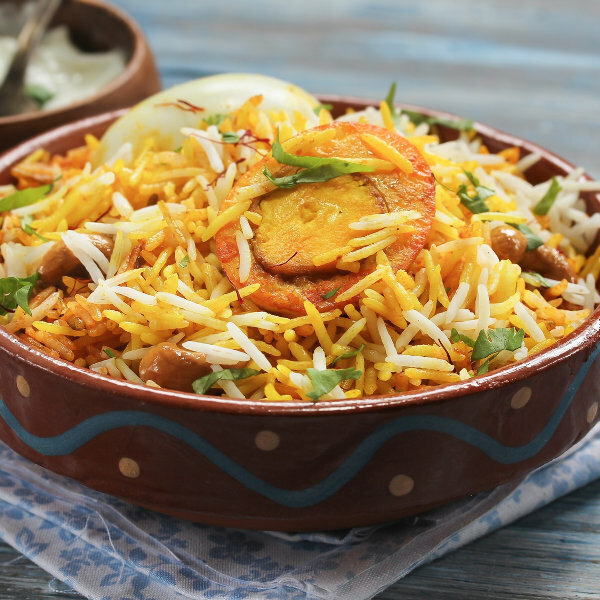 Hyderabad possesses its own unique cuisine, influenced by the Hyderabadi Muslims and Hindus alike, resulting in a fusion of delicious flavours and fragrant spices. Hyderabad has a tropical wet and dry climate and experiences dry, cool winters and dry, hot summers, with a monsoon season occurring in between. The coolest time of the year is from October to February. This is the ideal time to go as temperatures are significantly cooler than the rest of the year, sitting around the mid-20s. Summer in Hyderabad occurs between the months of March to June, and sees temperatures rise to the high 30s, sometimes reaching the 40s. This is low-season, as most visitors are discouraged by the excessive heat. If you are not bothered by the scorching temperatures, take advantage of the low-season restaurant and hotel rates (just be sure to stay well-hydrated)! Monsoon season runs from June to September, and travel to Hyderabad is not encouraged during this time due to heavy rainfall and high levels of humidity. Hyderabad is an ancient, yet dynamic city, located on the banks of the Musi River in India’s Telangana State. Established in 1591, Hyderabad was ruled over by warring Indian dynasties for several centuries before finally being established as an independent city of the Republic of India. Today, the city still contains remnants of its pre-colonial occupation in its extensive collection of historical landmarks. The city has recently seen an influx of young Indian professionals, and the resulting focus has been on the upgrading and urbanisation of the city. This urbanisation has led to an extensive business expansion and trendy new restaurants, bars and pubs have been established. Heritage walks, which are guided tours around the city, are available every Saturday and Sunday, and tickets can be purchased on arrival. Compare several airlines, and book your cheap flights to Hyderabad online at Travelstart! Hyderabad’s crime-rate is relatively low compared to other cities, but tourists are encouraged to be alert and maintain awareness of their surroundings. Keep a close eye on personal possessions, especially in busy areas. Do not flaunt expensive jewellery or equipment in public places. Be wary of locals trying to scam tourists by pretending to be tour guides or baggage assistants- firmly say no to these individuals and walk away. Do not walk the city streets at night, rather hail a taxi cab or speak to your hotel about shuttle services offered. 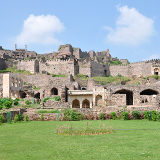 Hyderabad has, in the past, experienced minor local instability in the form of protests and riots, so ensure you are up-to-date with the latest news before finalising a trip. Hyderabad’s different regional districts all offer variations of accommodation for discerning travellers. Depending on where you would like to orient yourself in the city, Hyderabad will always provide more than sufficient lodging options. 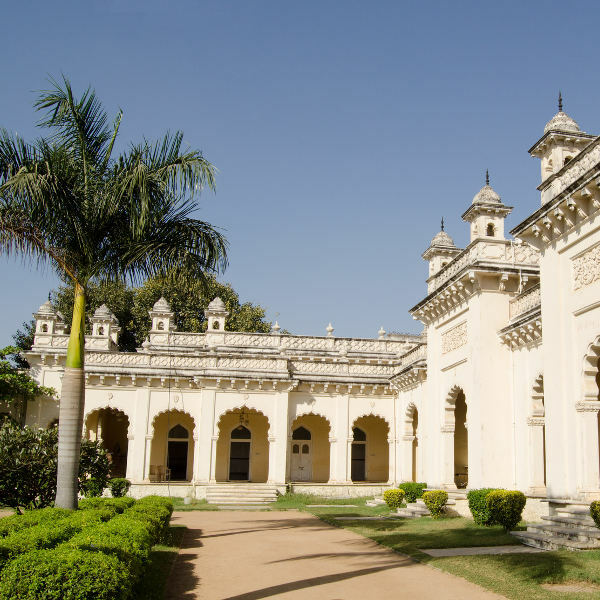 The Old City, which is the oldest section in Hyderabad, houses many of Hyderabad’s significant attractions, offers traditional hotels, bed-and-breakfasts and some locals will even open their homes to visitors, giving visitors the chance to stay in an authentic Hyderabad household. The New City is Hyderabad’s new modern, business district. Characterised by high-rise buildings, designer brand stores and trendy bars and restaurants, this district caters for Hyderabad’s young and wealthy elite. Accommodation here is on the high-end side, and many extravagant hotels and apartments-for-rent are located in the vicinity. Hyderabad offers extensive public transport options that are utilised by locals and tourists alike. The fastest and most popular option for getting around is by auto-rickshaw (tuk-tuk). These yellow and black vehicles are run by a metre and charge per km. Expect to pay around 30 Rupees per km, anything more than this is an attempt to overcharge. Do keep in mind that rates for auto-rickshaws increase per km after dark. The bus is also a safe and reliable option for tourists. Hyderabad’s buses follow mapped-out routes across the city, although certain buses may be following different routes. It is best to check the destination board above the windscreen of an approaching bus to see if it is going in your direction. If you are still unsure, you may wave and stop the bus and converse with the driver. Tell the driver your destination and ask for assistance if need be. Taxis are also available but the demand for taxis far outweighs the supply. It is extremely difficult, if not impossible, to hail a taxi cab from the streets. Speak to your hotel about reputable and safe taxi companies and then get their contact details. Call the company and ask for a taxi, telling them your destination. Most of these companies operate at all hours so you can call for cabs at all times of the night.